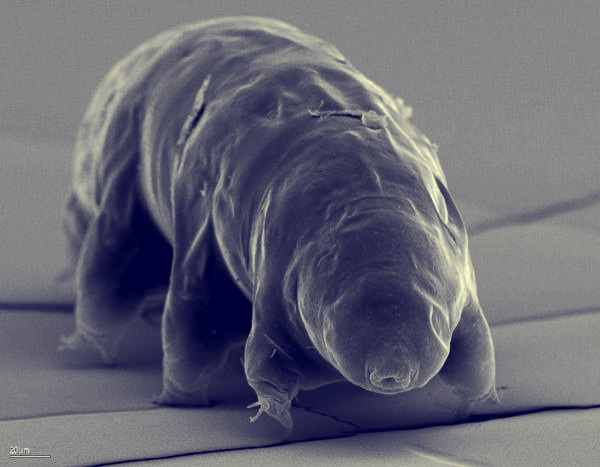 Water bears, also known as tardigrades, can survive boiling, freezing, the vacuum of space and years of dessication. They are microscopic, water-dwelling, segmented animals with eight legs. Till I punch you in your face. Someone should circumcise that thing. So….if you dessicate it with diatomaceous earth, and then rehydrate, it bringing it back to life….is it a Retardigrade? So….if you desiccate it with diatomaceous earth (or other desiccation), and then re hydrate it, bringing it back to life….is it a Retardigrade?